« Only idiots would vote for my political choice? How’s this for planning! 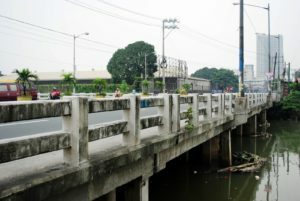 As a temporary measure during the construction of the Metro Manila Skyway Stage 3, the old Sevilla Bridge on San Juan River was demolished and replaced with a special temporary bridge. So why demolish a functioning bridge? On 10 occasions during the construction of the skyway they need to get large barges up the San Juan River, and they wouldn’t fit under the original bridge. So they replaced it with a magic bridge. This video shows the how on Saturday 13th October 2018 at 10:20PM the special temporary bridge was deconstructed for the first time. After the barges passed, the bridge was reconstructed, finishing just before 9AM Sunday 14th October. Total outage for traffic was less than 12 hours. This will be done a further nine times and the team believes it can reduce the outage time. After construction is completed the temporary bridge will be replaced with a higher-level single-span permanent bridge designed to reduce floodwaters backing up behind the bridge during heavy storms. My thanks to Philippe Gouvary for the drone footage below.